The Fifth Circuit Public Guardian Corporation helps vulnerable citizens of Marion, Hernando, Sumter, Lake and Citrus Counties in crisis situations. We are the program that other agencies turn to when help is needed to provide care and/or assistance to these individuals. We are a comprehensive care resource that Central Florida can be proud of! The Fifth Circuit Public Guardian Corporation is a 501(c)(3) charity that was formed by a group of concerned citizens in 2001 to address a critical need for a public guardianship program. 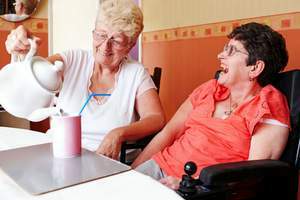 The organization was established to act as a substitute decision-maker for those persons who are functionally impaired to the extent that they require the protection of court intervention. 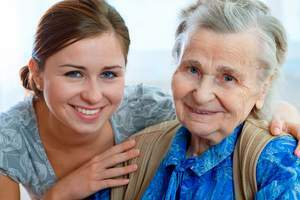 Our organization receives funding from various sources such as The Department of Elder Affairs Statewide Public Guardian Office, United Way, special grants as well as private donations. The Fifth Circuit Public Guardian Corporation was established to provide guardianship and advocacy for individuals that have been legally adjudicated incapacitated. The individuals that are rendered without an advocate, those who either have no family, or individuals whose family members are unable to serve as their guardian are considered for services by Fifth Circuit Public Guardian Corp.
We provide services throughout central Florida to individuals with developmental disabilities, frail elderly, veterans, those who suffer from chronic mental illness, and those who suffer from progressive cognitive loss due to dementia or other neurological disorders, and traumatic brain injuries. The Office of Public Guardian is held to a high standard of accountability. 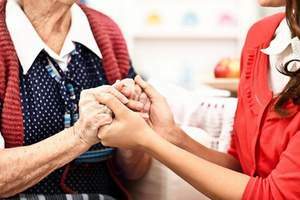 Detailed reports of the person and accountings of the estate must be filed not only with the local circuit courts but also to The Department of Elder Affairs. Fifth Circuit Public Guardian Corp. also undergoes an independent audit annually. .
Fifth Circuit Public Guardian Corp. is committed to ensuring that those we serve receive appropriate care, protection and services in the least restrictive manner possible.